“Human beings are capable of extraordinary things because we are driven by the impulse to try. And when it comes to giving, that impulse to try transcends cultures, generations, and geographies,” Her Majesty stated. In light of the Syrian refugee crisis, Jordan has welcomed more than 155,000 school-age refugees, significantly impacting the country’s schools. “Our public education system has been strained to breaking point, and many of our own children are not learning the skills they will need to meet the demands of tomorrow’s job market,” Her Majesty said. The Queen hailed education as the “source of all human progress, the antidote to extremism, and the foundation of any peaceful society.” She also explained that the critical role of education is widely understood in Jordan, which does not produce oil and is one of the world’s most water-poor nations. Highlighting the education crisis’ far-reaching implications beyond Jordan and the Arab World, Her Majesty explained that the potential of the region’s youth has been limited due to constraints on their education. “They can help the world combat climate change, poverty, terrorism, and disease. But only if they are given a fighting chance to participate,” she said. “Two years later, we partnered with Harvard University and MIT to launch Edraak, a free, open-source, online learning platform that brings quality education to Arabic-speaking students everywhere—including those confined to conflict zones and refugee camps,” she stated. 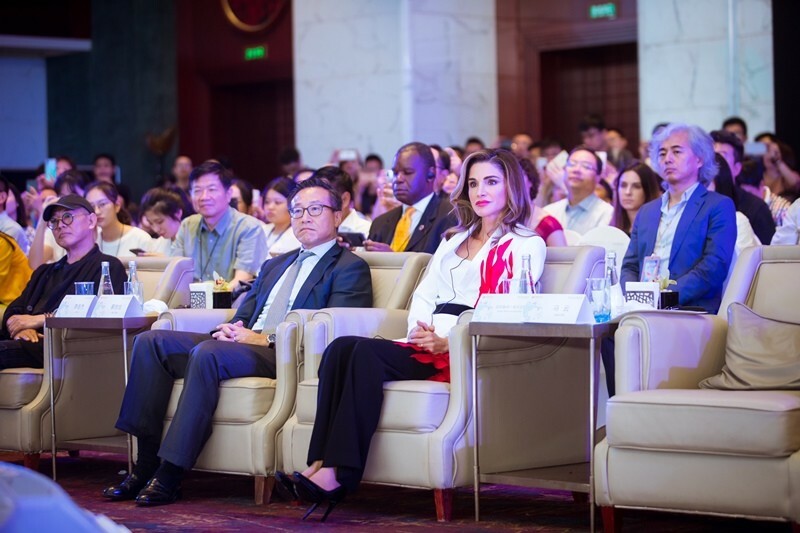 Also speaking at the conference, which was hosted for the second time by Alibaba Group, Mr. Ma described public service as the accumulation of “small, thoughtful, and compassionate” acts from individuals, and the best medicine for all ailments. “Public service is about giving one’s time, actions and heart. It is a passion and force that come from within,” Mr. Ma stated.